Editor’s note: The opinions expressed in this article are solely that of the author’s, Arley McBlain. When it comes to the still emerging Mobile Web realm, I think we should all be outraged about the trouble Windows Phone 7.5 can unleash. Like anyone, I was curious what Windows Phone 7.5 (codenamed Mango) — a software update to Microsoft’s mobile device operating system — would bring to the Mobile Web front. I’m a web designer, so things like this can affect me professionally. My real interest in Mango lies in its web browser, IE Mobile 9. How would it hold up? It certainly performs better than its predecessor, but it didn’t take long to start finding rendering issues on some websites, even though these sites were fine on other devices. 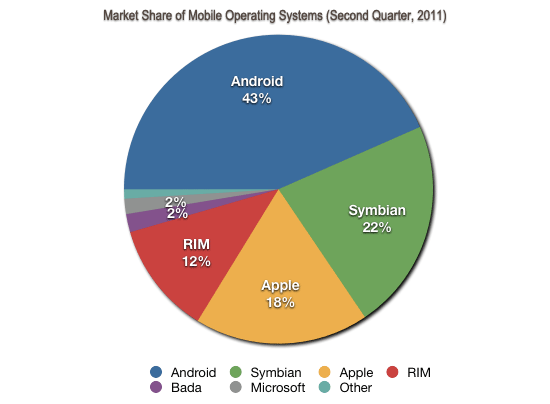 Until recently, there were arguably only three major players in the mobile device world: BlackBerry, iPhone and Android. These devices still hold a big chunk of smartphone users — 73% of the market share of mobile operating systems in the second quarter of 2011 — Microsoft is trying to keep things relevant with their latest mobile OS. A little competition in the burgeoning mobile industry is good and all, but — and maybe you should sit down for this — when Windows Mobile 7 (the predecessor of Mango) shipped in November 2010, the built-in browser was IE Mobile 7 – a standards-disrespecting jerk of a browser that was released over four years previous. Four years. Think about that. In Internet years that’s like a decade and in mobile technology years that’s like 432 centuries. IE7 is ancient! Sure, it was better than IE6, but it still makes a mockery of web standards, and lacks a lot of great features that all modern browsers have. It feels like a crime to add IE7-specific style sheets to a modern mobile site or app. But that’s the reality. Mango is now released with IE9 adapted to their mobile OS (called IE Mobile 9). Though this is by all measures a modern browser, it’s still rendering pages differently and breaking a beautiful Web. It seems as though the Mobile space is beginning to repeat what we have seen from the ongoing desktop browser wars. When IE6 was king, it had over 75% of market share. With IE5.5 combined, it was 95%. What an amazing time it was to make websites: You could create and test a website with one web browser without feeling like your web development responsibilities were being shirked. You could be confident that 95% of Internet users would see the same thing. That bubble burst when people began adopting other browsers, and eventually we got to where we are today. Personally, I try to test a website project on at least 5 specific desktop browsers. It’s a lot more work, particularly if the client needs to support older browsers. In Mobile, we are still sort of in that happy bubble! WebKit, a popular open source browser engine, is great. It’s the backbone of the BlackBerry browser (OS6+), Apple Safari (for the iPhone) and the built-in web browser in Android mobile devices. Now there’s Microsoft. Please understand that I’m not a hater. I respect the company and their contributions to the way we use technology today. They’ve had an enormous and very positive impact in computing, gaming and Web technologies. Their browser’s unique way of rendering websites, on the other hand, creates problems. For the first time since 2005, we almost had a standard base to build websites on — but I fear that Microsoft carries enough weight and users to shift the balance towards their advantage, and the work going into producing websites will again multiply. Windows Phone hasn’t taken over yet, even though the company that developed it carries a lot of weight in the tech world. It’s up to us to pester friends, families and clients into installing some WebKit solution onto their Windows mobile devices. For example, let them know about Zetakey, a WebKit-based browser that can work on Windows mobile devices. Am I saying WebKit should be the sole browser engine that the Mobile Web is built on? No. I only raise this point since, in the Mobile space, we are so close to one universal browser engine right now. Screens are simultaneously getting bigger and smaller. We have to take into account standard mouse and keyboard users, touchscreens and accessibility considerations. We are to be context-sensitive, social, and make use of emerging web technologies like geolocation and responsive web design. 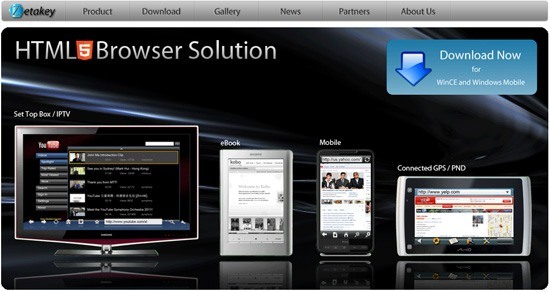 The demands of modern mobile websites and mobile web apps are serious. Wrangling stubborn browsers on top of all of that is ridiculous. Web browsers have been around for nearly twenty years — the fact that two browsers can render the same code radically different is insane. We need to unite and demand a better browser standard.